Sean William Scott plays a man named Evan who heads back to high school as a guidance counselor who helps a group of kids navigate their home and school lives, which seem to be terribly tragic. Evan doesn’t stop his job in his high school office though, he goes the extra mile and kills these kid’s super abusive parents in his sterile makeshift torture environment in a brutal way in which we haven’t seen on screen before. Meanwhile, Evan lives with his pregnant wife and his mother (Dale Dickey) in hopes that his newborn child will be the perfect addition to their little family as he continues on his path. ‘Bloodline‘ balances some dark comedic sequences with a stylistic terror that feels relentless at times and subtle in other moments, which plays out very well. There are some great flashback sequences to give us a small history of this family that are added into the perfect spots of the film, which will coincide with the title. 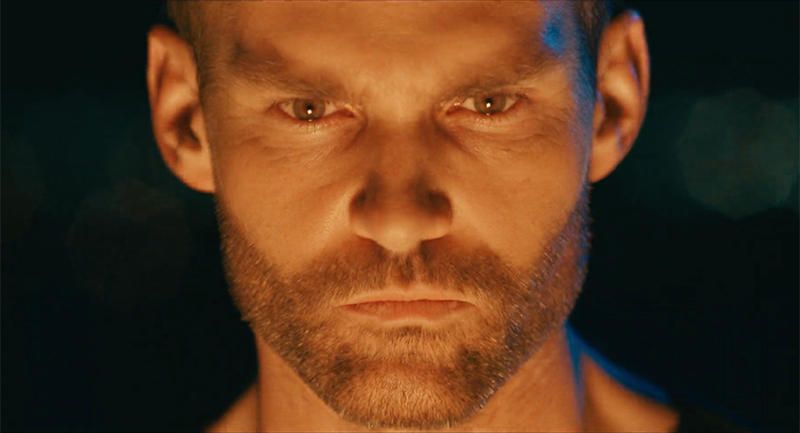 Sean William Scott’s performance is something we haven’t quite seen from him yet and he nails this character. On one side, he is a rather charming and happy guy who genuinely wants to help these kids, and on the flip side, he is a cold and merciless killer, however, he only kills the bad people. The practical effects of the brutal slayings and even a birth scene might turn some off, but for me, it was necessary in a way that you root for this character to be as ferocious as he is in some sort of vigilante justice sort of way. ‘Bloodline‘ is a home-run in this genre and showcase a brilliant visual technique from director Henry Jacobson and an amazing performance from Sean William Scott. This entry was posted on Monday, October 1st, 2018 at 11:22 am	and is filed under Events, Film, News. You can follow any responses to this entry through the RSS 2.0 feed. You can skip to the end and leave a response. Pinging is currently not allowed. « An Evening With Beverly Luff Linn Interviews at Fantastic Fest 2018! Don't ask me to pity those people. I don't mourn them any more than I do the thousands that died at Sodom and Gomorrah. Is that to say, John, that what you were doing was God's good work?